Moose Tracks: What Color Is Your Socialism? 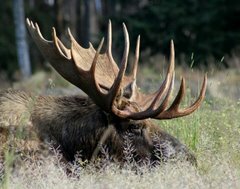 Books, Life, Computing, Politics, and the tracks of the domestic Moose through hill, dale, and lovely swamp. Read This Blog Post or I Shoot The Dog! Police Kill 2,993 Blacks in TX Since '08! Baby Parts For Sale -- Who Cares? Climate "Surprise", Geothermal Heats Glaciers! What Color Is Your Socialism? Pope Slips Surly Bonds of Sanity? The linked article is a worthy read. I'm reminded of people who have detailed plans for what they will do "when they win the lottery". The American Left is like those people -- they believe that they are building a Scandinavian future right here -- with millions of brown people constantly streaming across the border from the south right in the midst of their imagined "progress". I agree with the following paragraph, although it isn't OCCASIONALLY -- it is common. While our US socialists like BO, BS, Hilly, etc like to talk about "diversity", what they mean is "Everyone must think exactly alike". When your political and world view are based on fantasy, fiction and a total lack of consistency, it seems totally reasonable to postulate a nation where a racially, ethnically and culturally diverse population will cheer in wild unity like those beaming throngs of National Socialist Germans once did, or at least quietly and efficiently comply like the throngs of Finns, Swedes, Danes, etc today. A not very close look at any of those adoring masses of socialist utopia would give pause to any but those who hold to the radically inconsistent and fabulist creed of modern american liberalism. Socialism and welfare-statism, like nationalism and racism, are based on appeals to solidarity — solidarity that is enforced at gunpoint, if necessary. That appeal is more than a decent-hearted concern for the downtrodden or the broad public good. It is, rather, an exclusionary solidarity, a superstitious notion that understands “body politic” not as a mere figure of speech but as a substantive description of the state and the people as a unitary organism, the health of which is of such paramount importance that individual rights — property, freedom of movement, freedom of speech, freedom of association — must be curtailed or eliminated when they are perceived to be insalubrious. No doubt in the minds of the fabulists, the idea that "successful socialism" is ethnically homogeneous is racist -- pay no attention to past or existing examples! Indeed, paying no attention to reality and calling your opponents nasty names is one of the chief cornerstones of the left. The idea that different groups of people -- even different religions! might think and behave differently can be BOTH celebrated on one hand, and discounted on the other once all need for even minimums of logical consistency are abandoned -- and so it is for the modern american liberal!